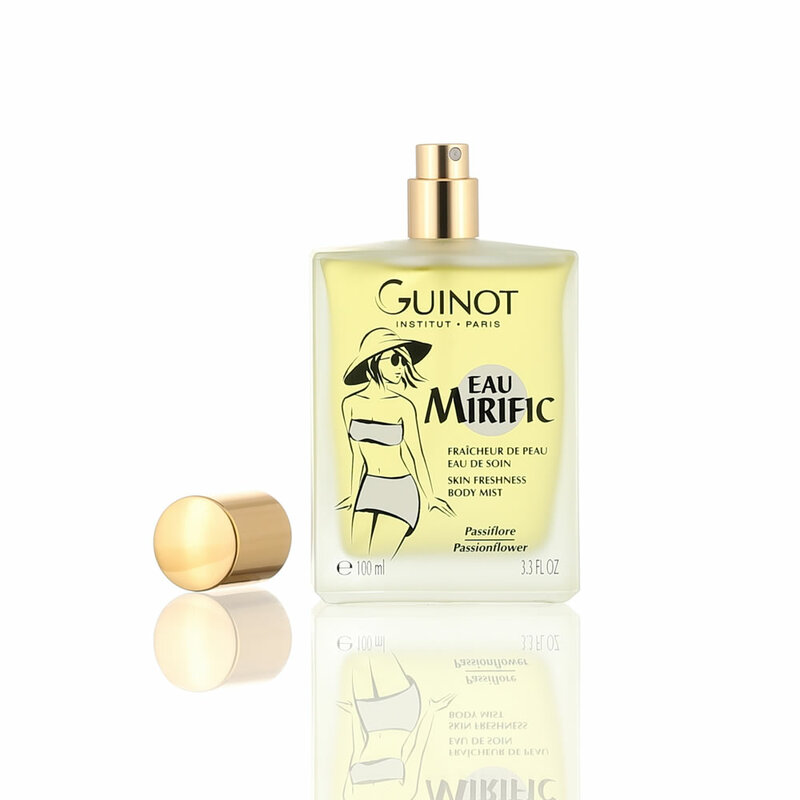 The real essence of femininity - Eau Mirific - offers women a moment of absolute pleasure. Its subtle yet sensuous sunny fragrance provides Eau Mirific with a feminine touch, which guarantees a pleasant sensory experience. Special formula for safe sunbathing. Ideal for refreshing and cooling the skin. Provides the skin with long lasting freshness. Passion flower oil: rich in essential fatty acids, passion flower oil strengthens the skin barrier and restores the acid protection coat of the skin. It regenerates and nourishes the skin and improves its suppleness. Mimosa extract: trace elements, flavonoids, and tannins give the mimosa its protective, regenerating and soothing properties. Application: Refreshment when you need it. Provides relaxation with only a few spray shots. Suitable for daily use.